Well, it’s been a big fortnight for this Saxon fan. Not only did I pen a review of their BBC in Concert album there has also been the small matter of a NEW SAXON ALBUM. 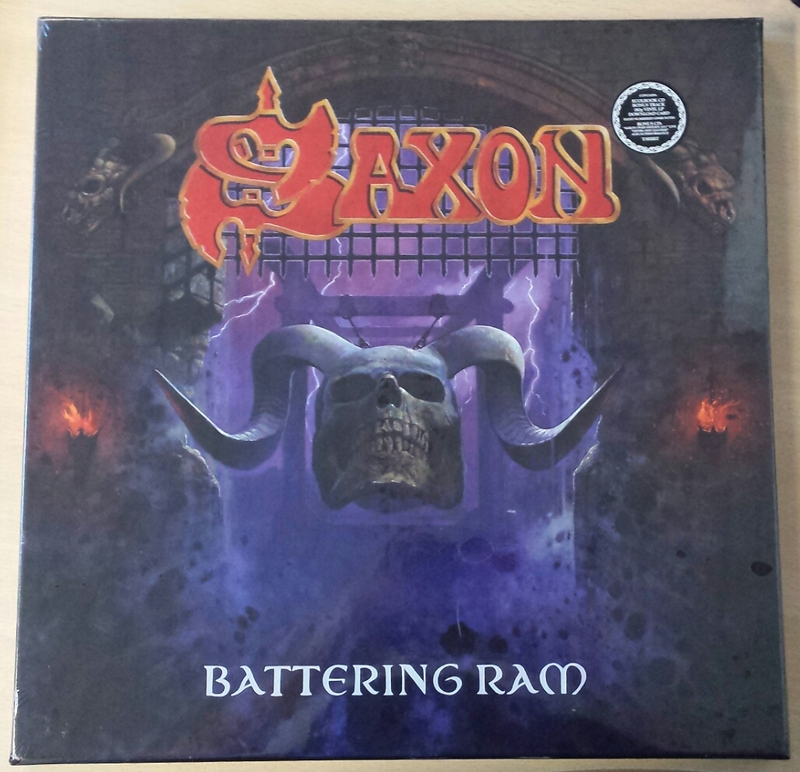 It just arrived on Friday there, the Battering Ram deluxe box set (see picture) with the CD, vinyl, T-Shirt (too wee) and an awesome bonus live CD Saxon over Sweden 2011! The live CD has them playing all the tracks from the Denim and Leather album so there are a good number of rarely-heard tracks on it. It’s early yet but the new album is sounding very good indeed. Maybe their strongest for many years and that’s saying something because their latter-day albums have not been weaklings. In a year when many veteran bands have started to sound distinctly doddery, the classic metal crown is Saxon’s for the taking. Check this out, it’s a great read from former Vinnie Vincent Invasion drummer (and ripped dude) Bobby Rock about his audition for the band. I love stories from behind-the-scenes like this and this is very entertaining indeed. And any inside info on the eternal enigma that is Vinnie Vincent is always welcome. I hope Bobby does more of these. Here’s another article written by a musician. It’s an old post but it’s new to me and made me chuckle a lot while I was eating my bacon roll this morning. The Antichrist Imperium singer Sam Bean recollects a hilarious journalistic misadventure involving Carcass’ Jeff Walker and a particularly naughty word. Def Leppard the Kings of… Hair Metal? Def Leppard’s Hysteria album tops Rolling Stone’s 50 Greatest Albums of Hair Metal. And in celebration, the Lep have released another new track that takes you right back to the glory days of… erm… Euphoria and X. That’s some bad retro right there. The HMO-approved doom outfit The Wounded Kings have completed their new album. It’s due for release early in 2016 and is an exciting prospect indeed. And they have a new Bandcamp page up now too where you can buy cheap downloads of their first two albums and there will be merch relating to the upcoming album available there soon too. Buy them while you can! These will sell like hot cakes. I’ve pre-ordered mine. Actually, I’ve been listening to things I intend to review fairly soon so I don’t want to spoil the surprise here. Plenty of Saxon naturally! Apart from those, I’ve been listening to Primordial’s debut album Imrama and enjoying that. Quite a big My Dying Bride influence back then, in the vocals especially. And staying in the “miserable” spectrum of things there was some early Anathema getting played: Serenades and The Silent Enigma. Both are weighty and doleful gothic metal classics. The new Queensrÿche album Condition Hüman has been getting quite a few plays. It’s fairly good, a grower, but not really grabbing me like their last one did. 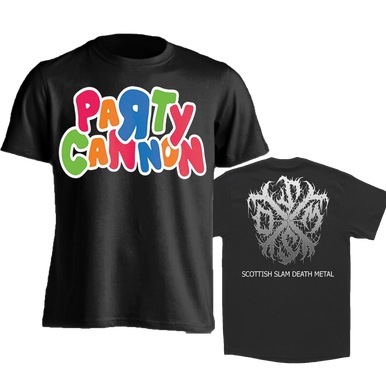 But I’ve fallen hook-line-and-sinker for the Gamma Ray debut album Heading for Tomorrow though. I’ve spent a lot of my Free Time (it’s one of the things that I like) listening to it. I can guarantee it’s especially effective as a pick-me-up after a few too many Anathema albums. Or on a Monday morning. Try it!